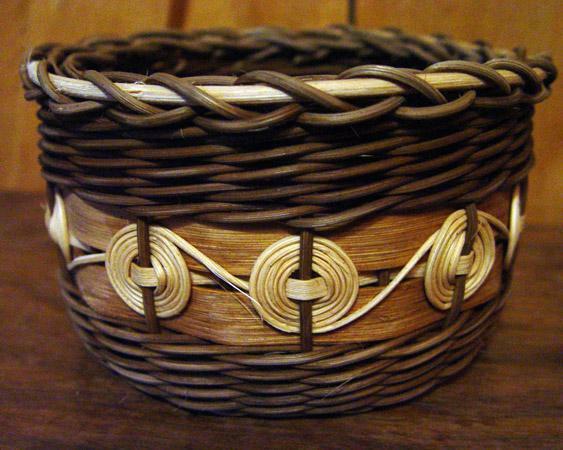 Join master basket weaver, Cat Mena from 10:00 am to 3:00 pm, Saturday, July 17, at the Nevada State Museum for a hands-on basket making workshop. Designed for beginning weavers, participants will complete a Cherokee Wheel Basket, constructed with naturally dyed reeds using walnut hulls for a rich brown color. This surface technique is accomplished on an even number of spokes with light wheels on dark dyed background. This class is suitable for ages 15 through adult. The $38.00 fee includes all materials, instruction and entrance to museum exhibits. Advanced registration is required. Mail payment by July 12 to The Bead Store, 2188 Hwy 50 East, Carson City, NV 89701 or call Cat Mena at 775-883-8111. For more information, contact Deborah Stevenson at 775-687-4810, ext. 237.